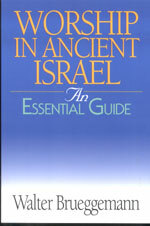 Citation: Baruch A. Levine, review of Walter Brueggemann, Worship in Ancient Israel: An Essential Guide, Review of Biblical Literature [http://www.bookreviews.org] (2005). Citation: Thomas Kraus, review of Walter Brueggemann, Worship in Ancient Israel: An Essential Guide, Review of Biblical Literature [http://www.bookreviews.org] (2005). Citation: Nijay Gupta, review of Walter Brueggemann, Worship in Ancient Israel: An Essential Guide, Review of Biblical Literature [http://www.bookreviews.org] (2005). Citation: Thomas Hieke, review of Walter Brueggemann, Worship in Ancient Israel: An Essential Guide, Review of Biblical Literature [http://www.bookreviews.org] (2005).